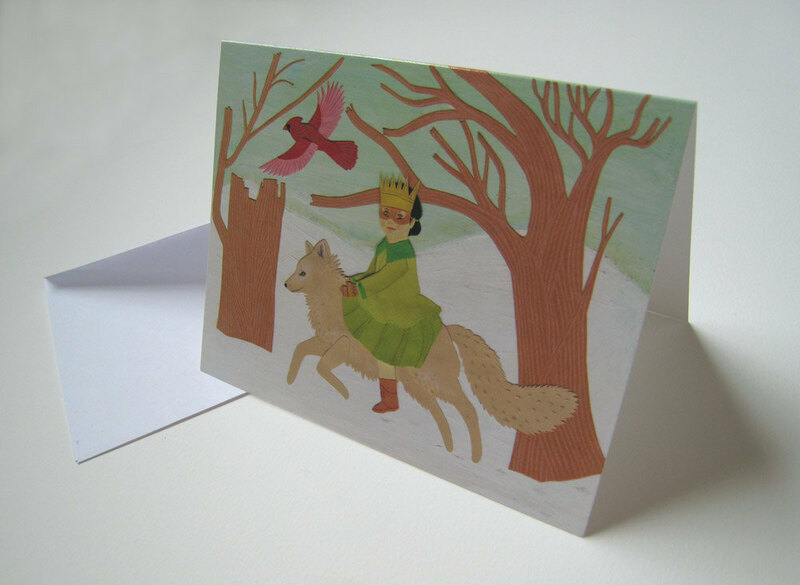 This year I wanted to make a winter greeting card that I could put out into the world ... for sale! This is the first time I've done this, and it's been pretty exciting for me. 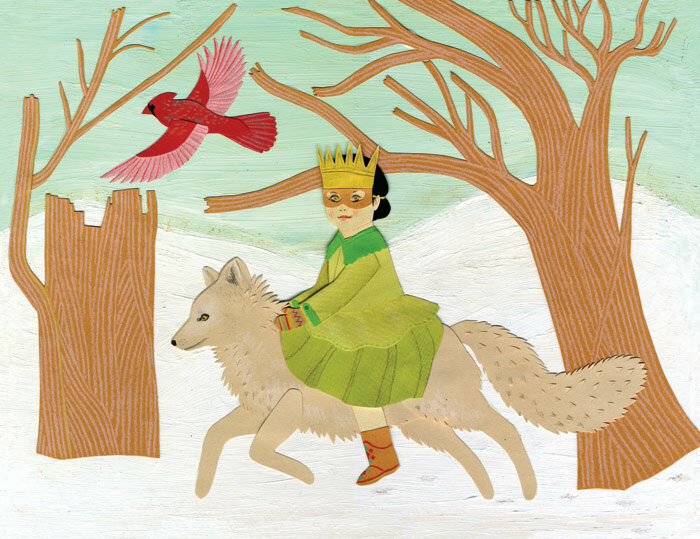 I really want to keep coming out with new illustrated products to sell in my etsy shop, as well as in select stores. 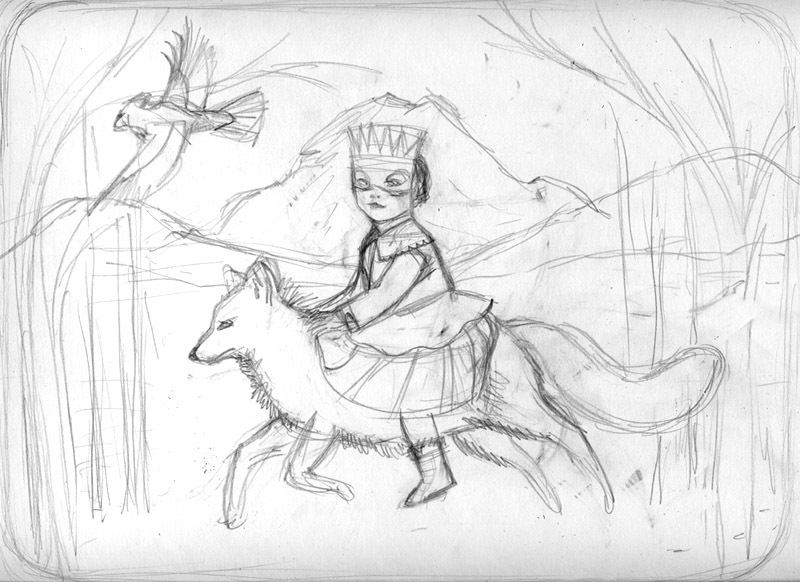 I decided I wanted the theme to be a festive winter scape. The illustration is of a crowned, masked girl in green riding an arctic fox, led by a bright red cardinal. It almost gives me the feel of the Three Kings traveling through the wilderness. The cards are sold in sets of 8, measuring 4.25"x5.5". The set comes with snow white envelops. The inside of the card is blank and ready for your personal greetings to your loved ones. Lately, I've been working hard framing up a bunch of pieces. I'll be putting them up for sale in my Etsy shop as each is completed and photographed. 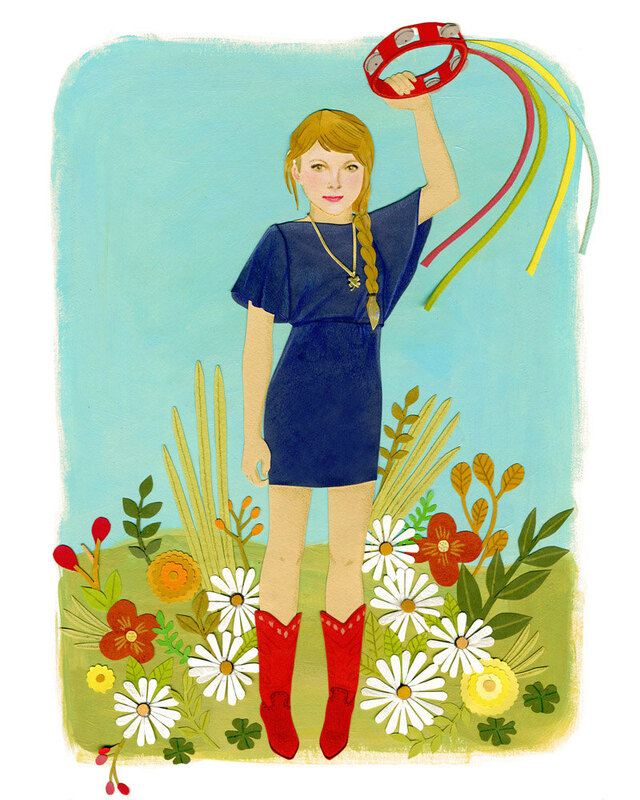 Here's a new original illustration I've put up on my Etsy page, entitled Gypsy Summer. It looks really great in the painted white, vintage frame, with lovely scalloped edged details. The artwork is 9" x 12" and is behind unbreakable, gallery quality Plexiglas. I had a great time cutting out and making each little flower. Lot's a great details in this piece. I've been adding more and more items to my Etsy shop lately (just in time for the big gift giving season!). 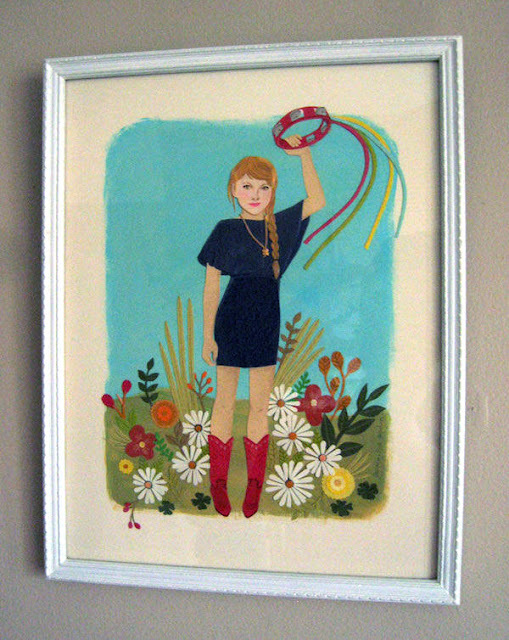 Today I just put up my framed original of my illustration, The Bouquet. 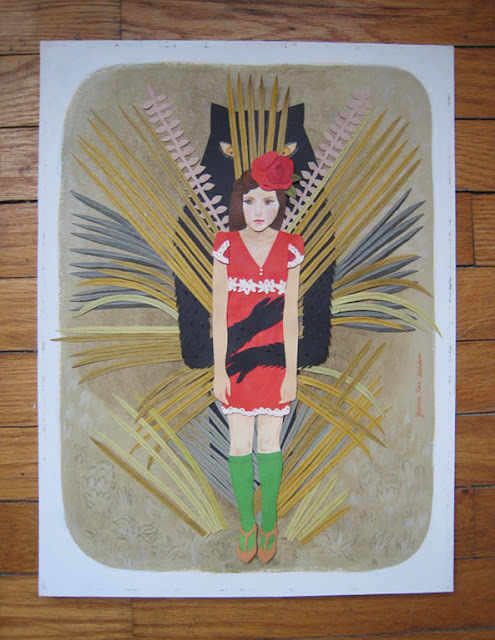 This piece measures 9" x 12" and is framed in unbreakable, gallery quality Plexiglas. 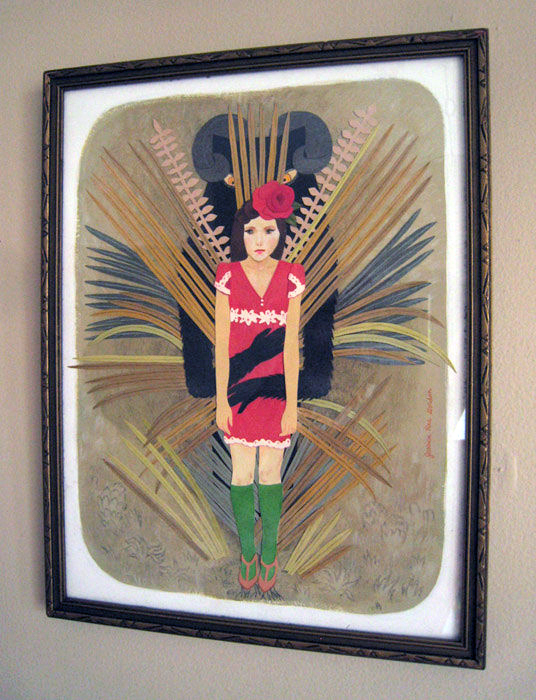 The frame is an antique, art deco, gold toned wooden frame with lovely carved details. 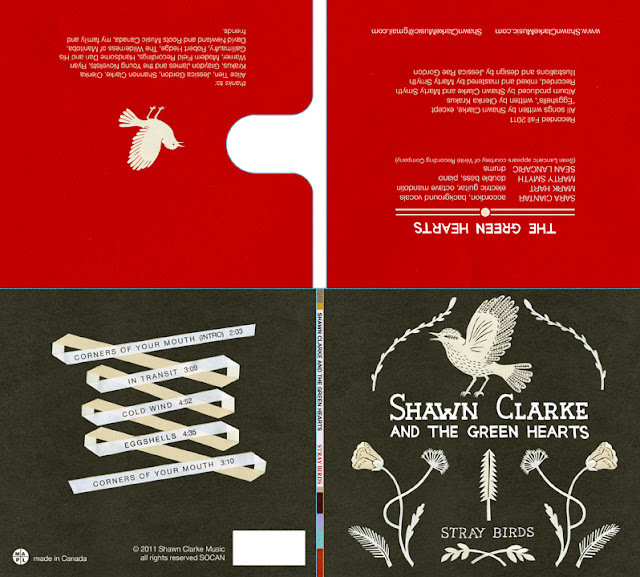 Here's the new CD package art and design I created for Shawn Clarke's new EP! I pitched the idea of doing a fairly limited colour pallet with strong design. The artwork is all carefully done in paper cut technique with scissors and an exacto knife. I wanted to be sure it had a hand done look (and not be too computery). We're still waiting for them to come back from the printer. I'll post photos of the final product once I get my hands on them. 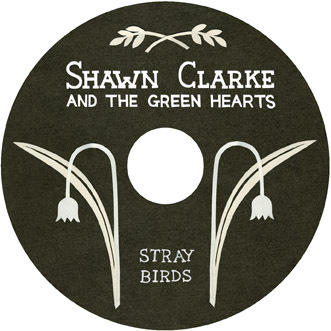 Come to the CD release in December, here's the facebook invite! 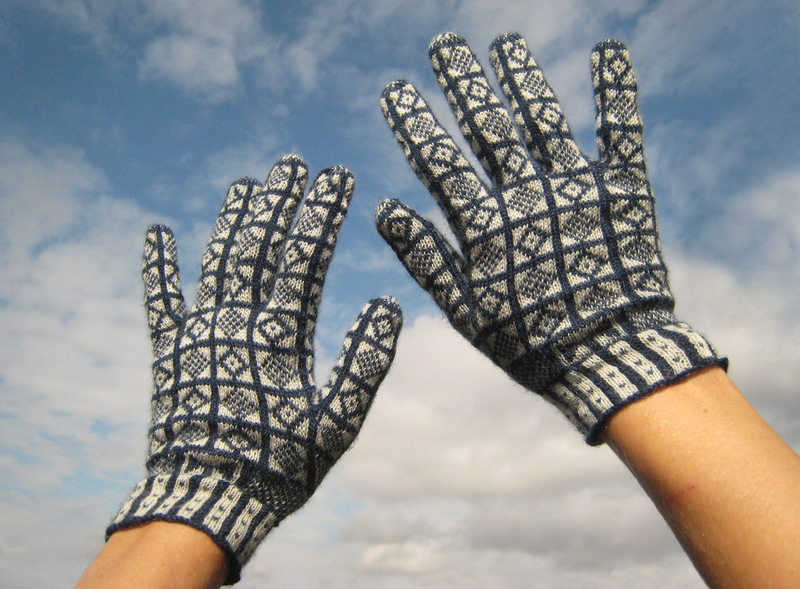 I've started posting a new batch of hand knit gloves in my Etsy Shop! I have a few more colour ways that I'll be posting over the next couple of weeks. 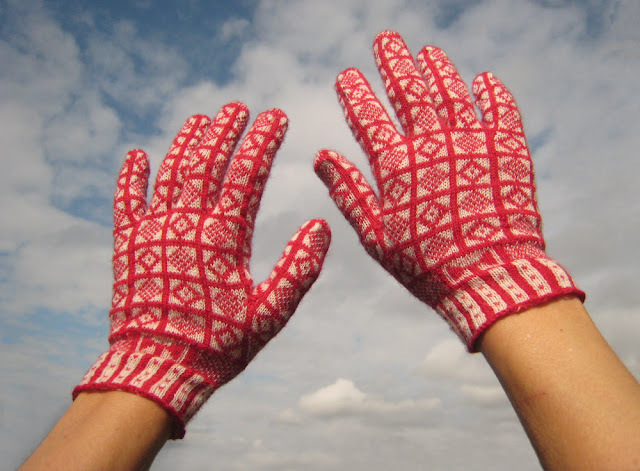 The gloves measure approximately 6 inches from tip of middle finger to bottom of palm (not including wrist), by approximately 3 1/4 inches width of palm. Measurements are taken from the glove laid flat (not with hand inside). 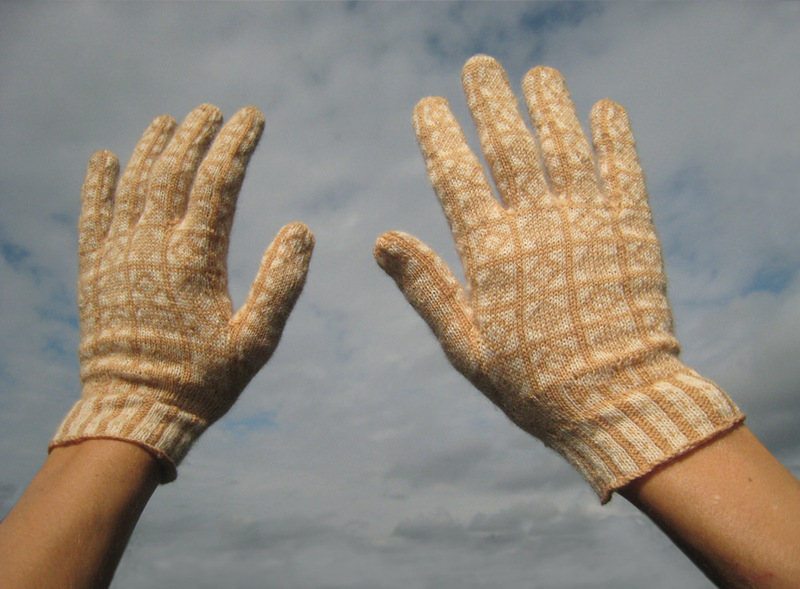 Because it's a knit, the gloves are quite stretchy.